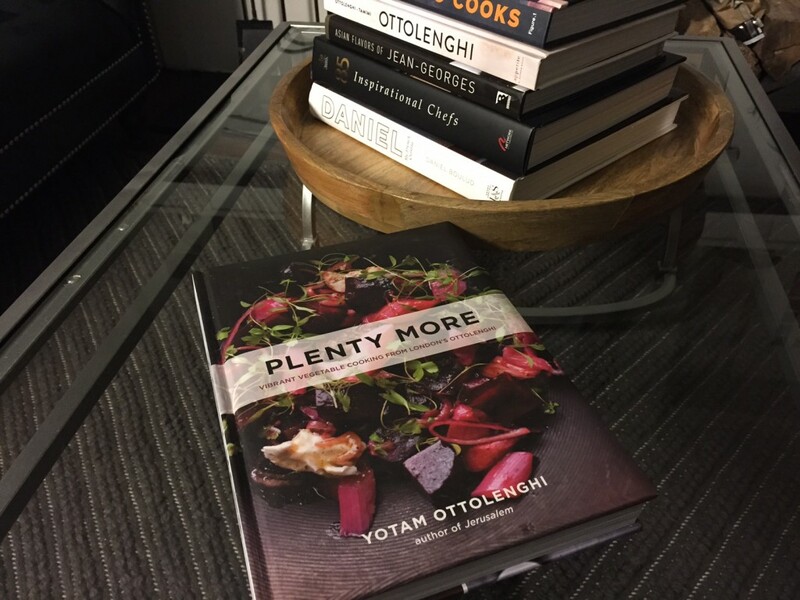 I’ve been so inspired by the use of spices in Yotam Ottolenghi‘s book, Plenty More. I’ve managed to find some of the harder to come by ingredients including Nigella seed and pomegranate molasses. The trouble now is working them into the regular ingredient rotation. 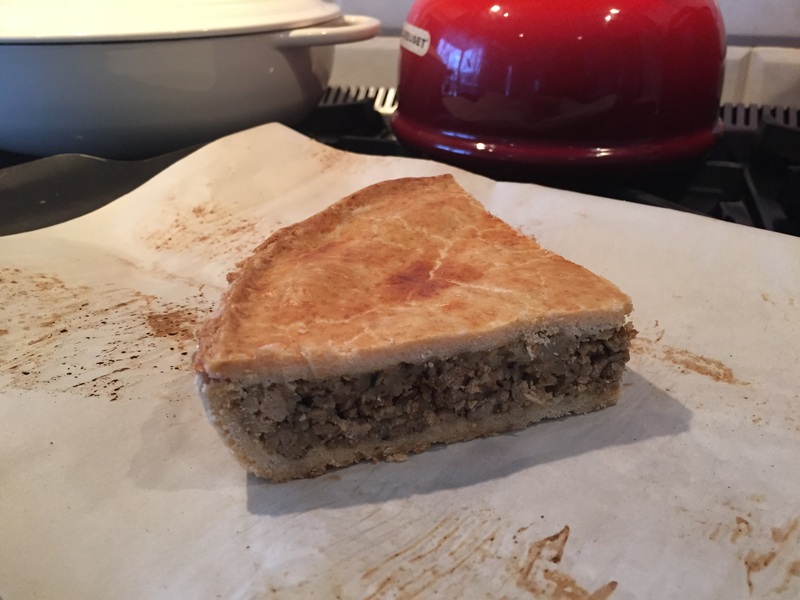 I love tourtière! 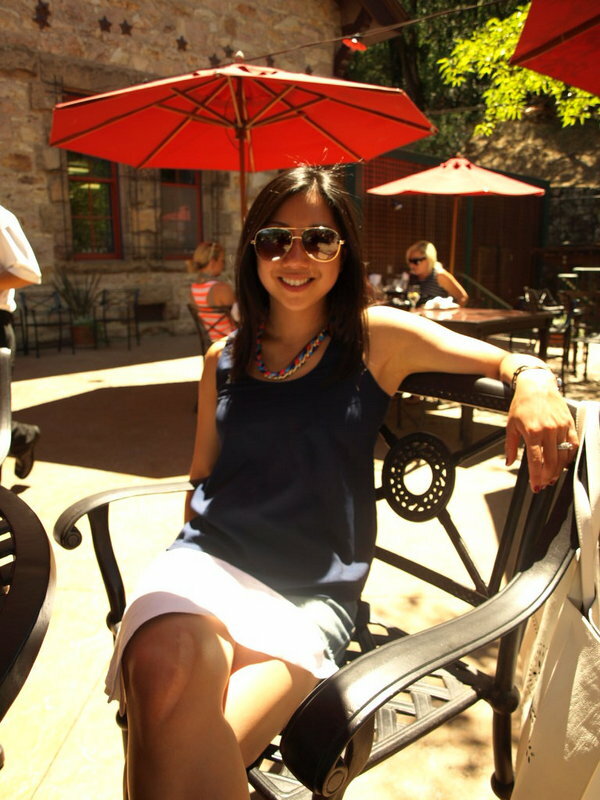 Actually, I have a general love for meat pies or dumplings or perogies or raviolis – in essence, carbs filled with some sort of stuffing. It doesn’t even have to be meat! Every culture has a few good ones. Clockwise from top left: cumin, smoked paprika, ground pepper, coriander, caraway and nigella seed. Yes, we are eating off of Royal Chinet with plastic forks. We are really classing it up in our household these days. It’s way below freezing in Toronto and the City has decided to shut off the water temporarily. Some red wine in proper glasses is definitely in order though. Perfect with a lightly dressed salad. 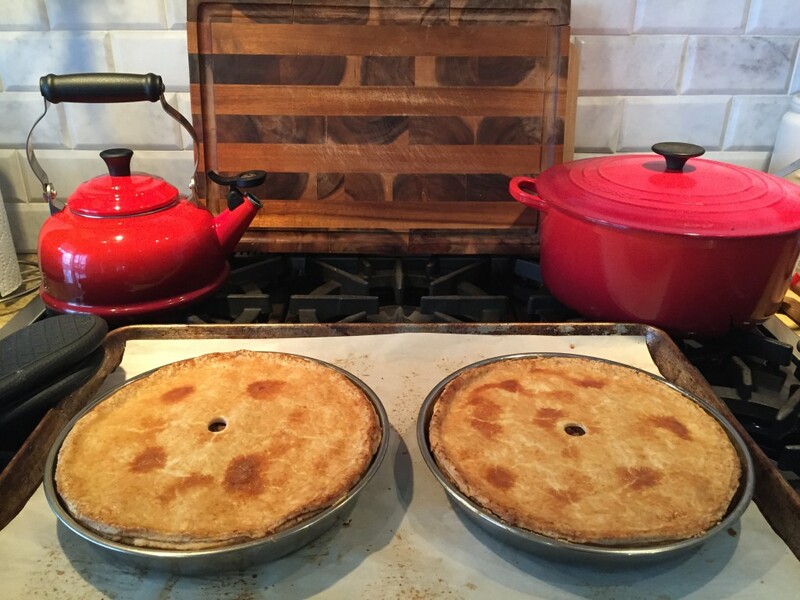 So pies can seem daunting to some…a few tips and tricks when dealing with pies. Learned over time by yours truly through numerous mess ups – Big shout out to all my guinea pig family and friends for your support! THANK YOU. No one likes soggy mush for a bottom crust. 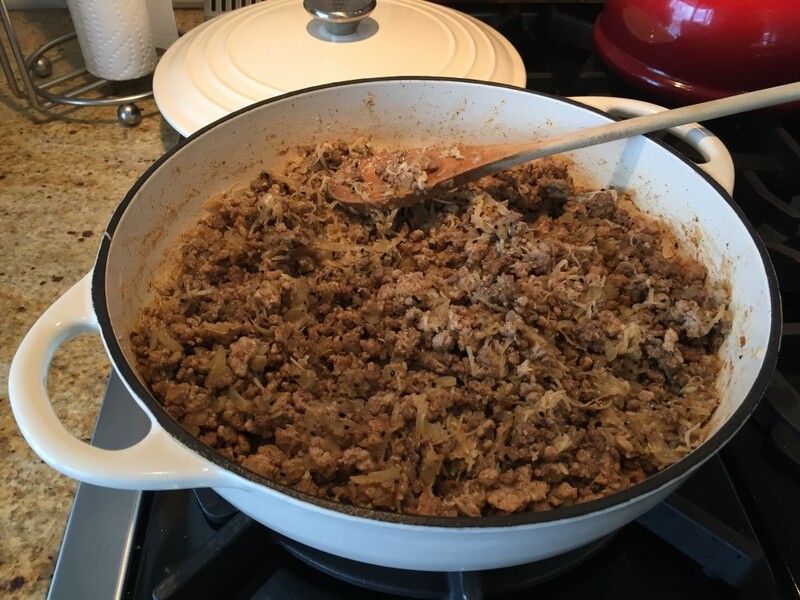 Help prevent this by ensuring that there is sufficient starch to soak up the extra juices released from the stuffing. Some people add breadcrumbs but I far prefer the texture of a finely grated starchy potato. For a flaky pastry crust, keep these tips in mind. Keep it cold – refrigerate the bowls, paddle and ingredients and dough whenever you can. I don’t bother with freezing and grating the butter. It just ends up melting into a mess in my hands anyway. Leave it alone – don’t overwork your dough – if you overwork your dough, the activated gluten will make it tough! Don’t add unnecessary flour – roll the dough between sheets of plastic wrap to prevent sticking. 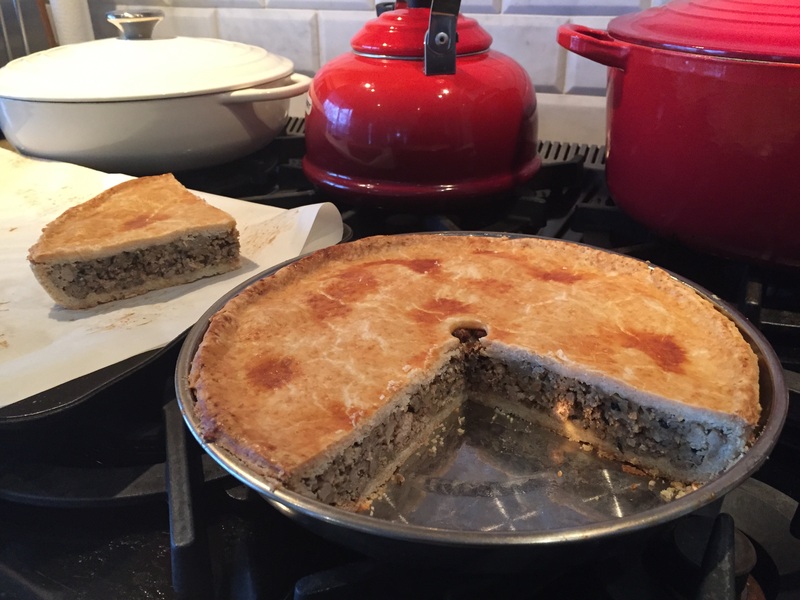 My basic holiday tourtière recipe has the traditional spices and flavors you would expect in a French Canadian meat pie and I’ve listed them separately below – just see the note. But in the spirit of stretching my imagination and trying something new, here’s the version I’m featuring today. Start with the filling. 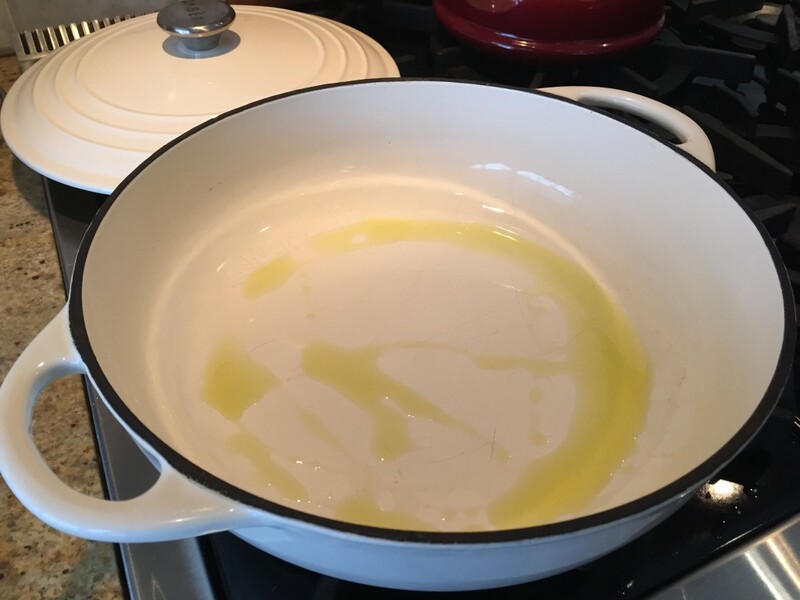 In a large pan, heat the olive oil on high and brown the ground meat. Add the salt once it is almost cooked. Make sure to break apart the pieces of meat. Add the garlic and onions and continue to cook for another 5 minutes. Add the apple juice and cook another 5 minutes until slightly reduced. Stir in the spices and taste the cooked meat. Check and adjust seasoning at this point. Remove from heat. Stir in the grated potato and chill in fridge. 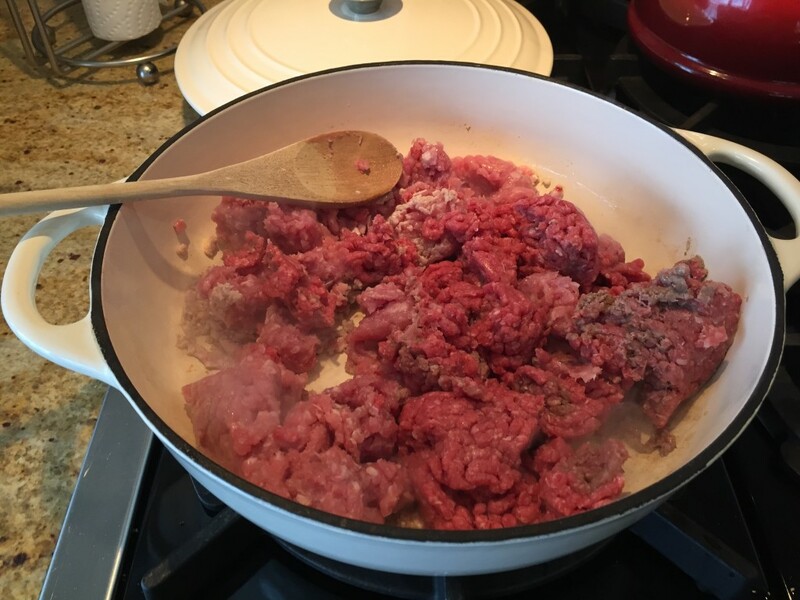 Add the butter pieces and using the paddle attachment, turn the mixer on low and mix until the butter is incorporated into the flour – it should look like coarse meal with a few larger pea-sized pieces. With the motor running, slowly pour in the water. The dough will slowly come together. If the dough looks dry, add a bit more cold water. Turn the motor off and using your hands, incorporate the remaining flour at the bottom of the bowl. 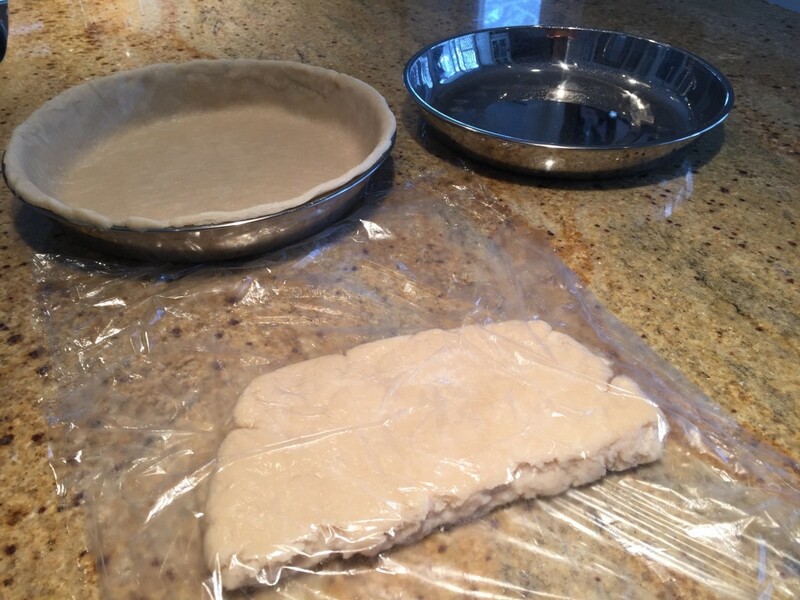 Divide the dough in 4 and wrap separately in plastic. Chill and allow to rest in fridge for at least 30 minutes. Preheat the oven to 400°F. Time to roll the dough. To make things a bit easier, I prefer to roll my dough between two sheets of plastic wrap. Remove one of the chilled doughs from the fridge, and roll to less than a 1/4 inch thick. 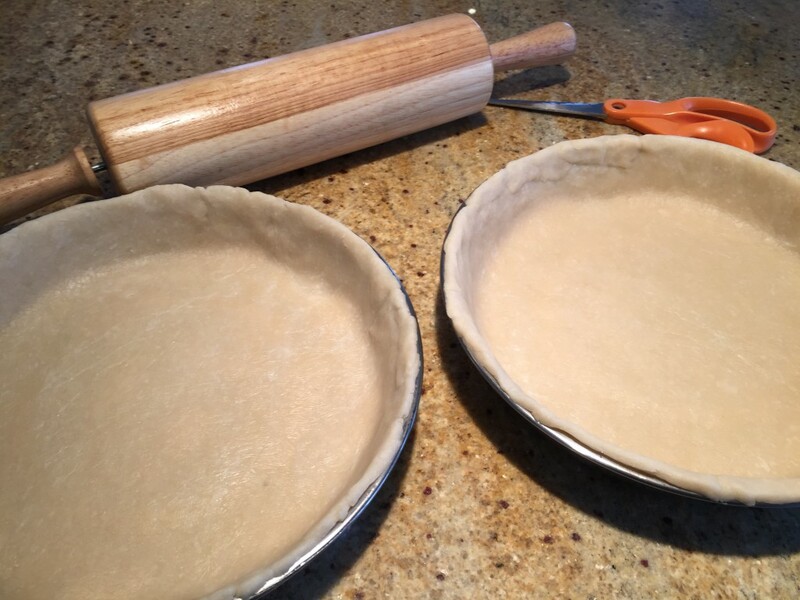 Line the base of one of your pie plates and repeat with the second pie plate. 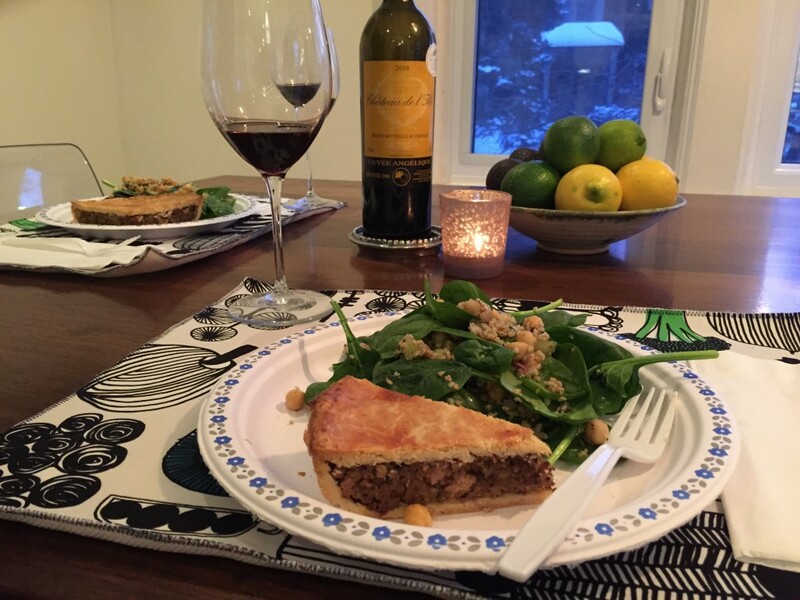 Keep the lined pie plates in the fridge as you work. 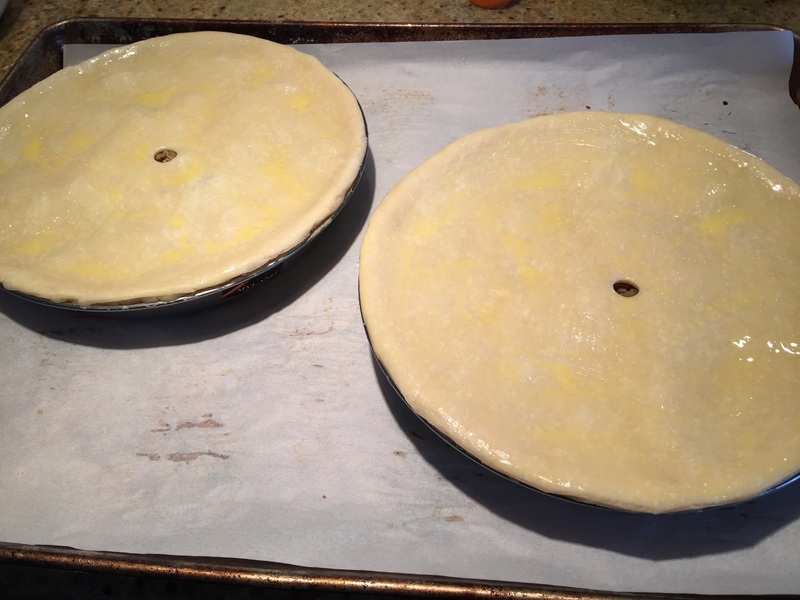 For the tops, roll out the remaining 2 wrapped doughs to 1/4 thick and large enough to fully cover the pies. Cut a small hole in the center as a vent. Keep chilled. 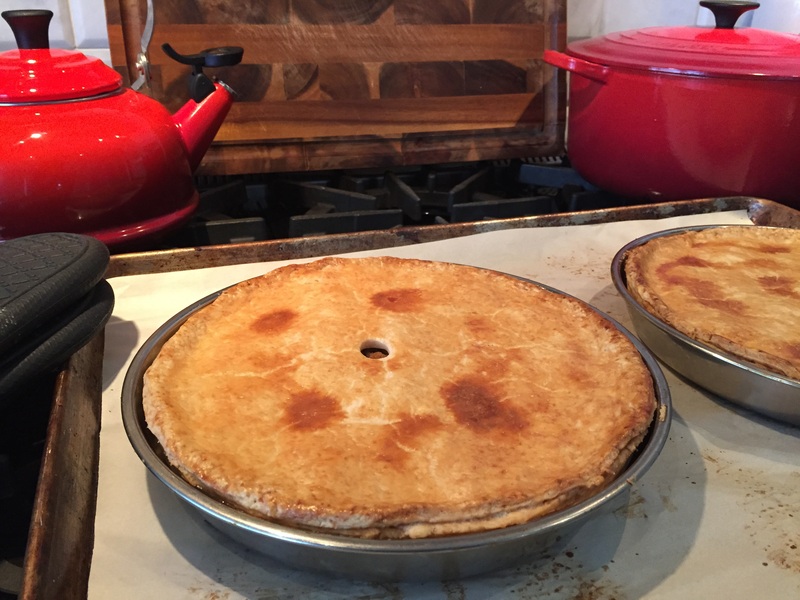 Remove the dough-lined pie plates from the fridge and fill each with half of the chilled filling. Brush the edges of the dough with egg wash. 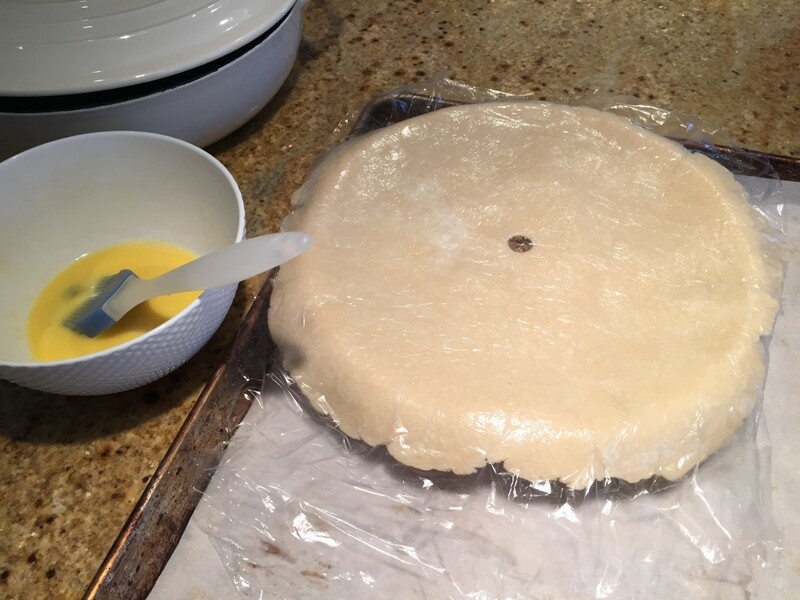 Remove the pre-rolled pie tops and using the plastic as a guide, press the tops gently against the edges to seal. Brush the tops with more egg wash. Bake on a parchment-lined tray in case some of the filling oozes out. This will make clean up way easier. I reused an old piece of parchment that I previously used for a batch of scones. 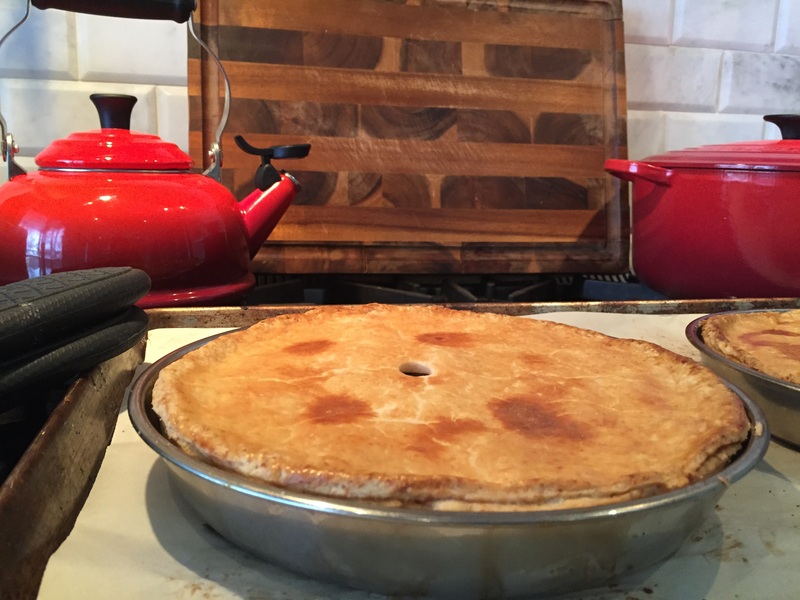 Bake for about 45-50 minutes or until pies are golden and you can see steam escaping from the vent. Makes 2 pies serving between 12-16 people. 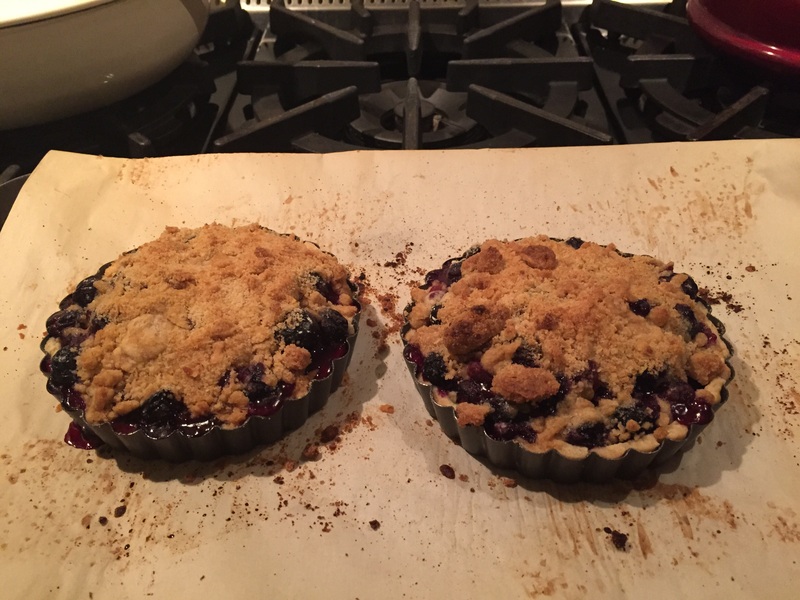 No soggy bottoms here…Perfectly crisp, just the way I like it! 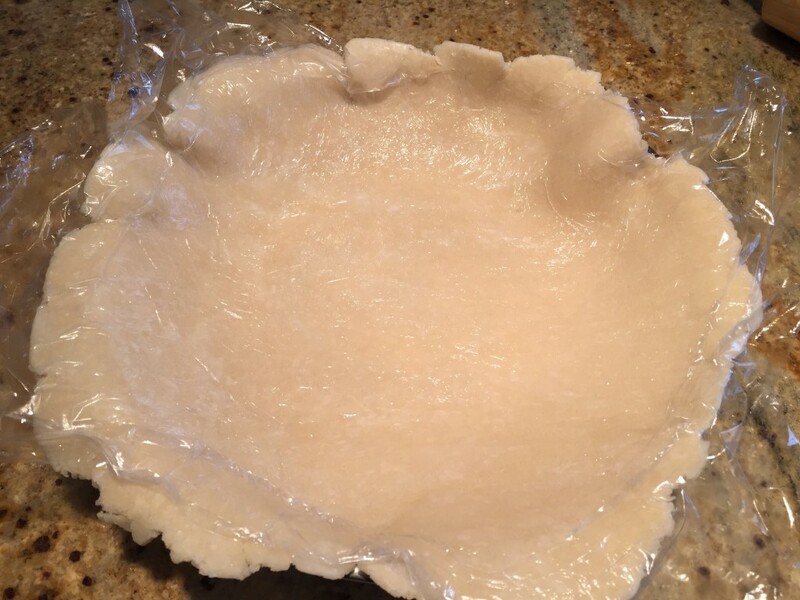 No one likes a soggy pie crust. That’s where the grated potato comes in. 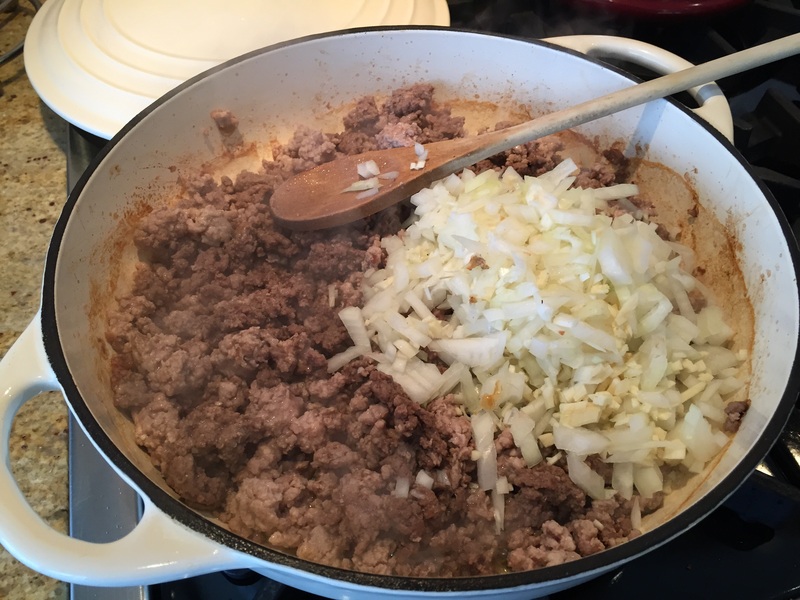 As the tourtière bakes, the starch in the grated potato will absorb much of the excess liquid released from the meat and onions preventing it from pooling into a soppy mess at the bottom of your pie plate. If you are struggling with the dough, try rolling it between two sheets of plastic wrap. This will prevent it from sticking to the surface and to the rolling pin. You don’t need to use any additional flour either further preventing a tough crust. 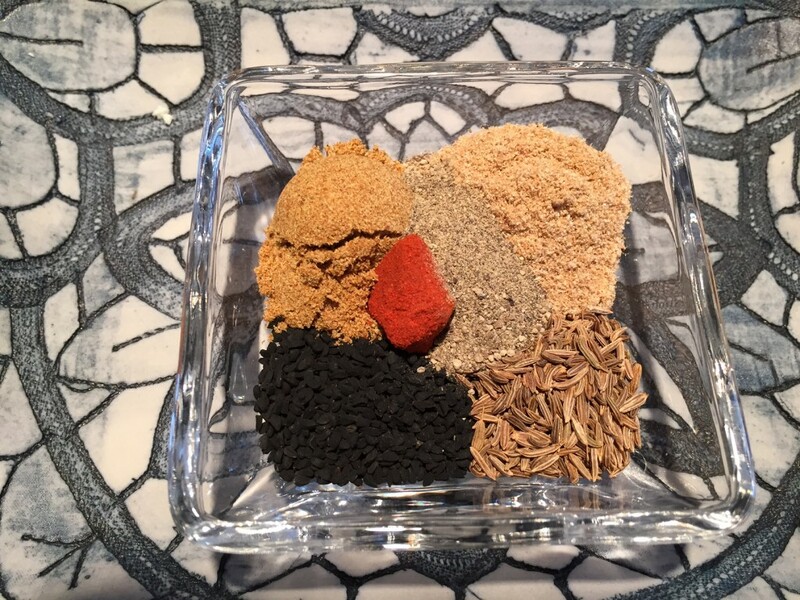 For the traditional tourtière spice blend, you can use this combination rather than the above. 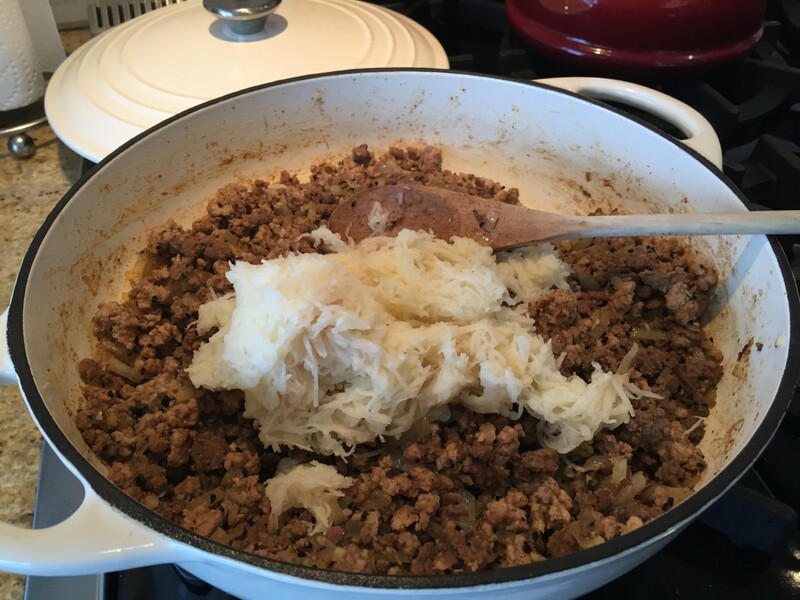 a hearty dish for those cold winter days! Definitely! Hope you enjoyed it…even days after.